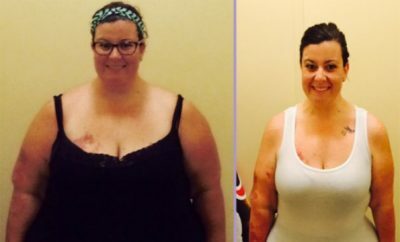 My weight loss approach: After years of trying to lose weight, I realized that I was looking for something to do the work for me. 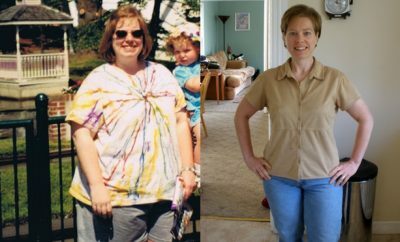 I was always searching for a simple means to lose weight, while completely ignoring the habits and behaviors that kept me near, at, or above 500 pounds for almost 20 years. I simply suppressed those habits and behaviors long enough to enjoy temporary results on whatever plan I was doing at the moment, then I’d gain it all back when I returned to my old ways. My approach this time had to be different. 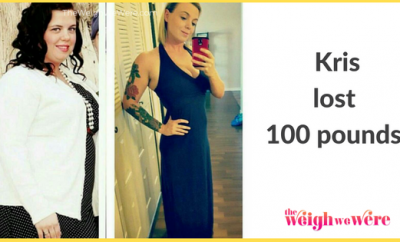 I set a calorie budget of 1,500 calories a day and focused on spending them like cash. My “Calorie Bank,” as I call it, doesn’t have an overdraft — when the calories are gone, they’re gone, and I’m “issued” another 1,500 the next morning. I avoided feelings of deprivation by allowing anything and everything, as long as I could fit it into my calorie budget that day. I eat what I like, and never anything I don’t. 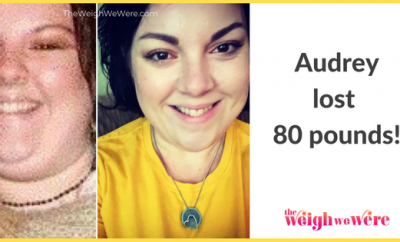 I’ve lost 258 pounds and I haven’t had a single salad. The difference is in the portion sizes, and that’s what this approach has taught me; for the first time, I know what a normal portion of anything really looks like. I also started walking on day one — back then, I was barely able to do a quarter-mile. The walking became easier every day, and now I still walk, jog, cycle and lift weights. I even do regular 5Ks and even the occasional 10K. But the food and exercise is really only about 20 percent of my success equation. It’s a mental journey. I made an iron-clad decision to do this once and for all, and I’ve had to battle one ultimate enemy at every turn: Me. The two most important elements of my success have been self-honesty and consistency. No more excuses and rationalizing bad choices in an effort to make myself feel better. I battled the emotional ups and downs by putting up my imaginary “Steel Curtain Zone.” This steel curtain zone is a place mentally where my defenses are at their highest, where I can’t be compromised by emotions, stressful triggers and unforeseen circumstances. This has helped me succeed on this road despite deaths in the family, financial strain, a stressful high-profile job and the end of my twenty-one year marriage. Why I wanted to blog about it: Every other weight loss attempt I’ve ever made was kept a secret, so if I failed, nobody would be the wiser. This time it had to be different — I wanted the accountability factor. Originally, it was a blog featured on my MySpace profile, available only to close friends and family. I really didn’t care if anyone else read it or not, as long as my oldest daughter who was away at college did. Our bad habits over the years have undoubtedly influenced her, sending her off to college 100 pounds overweight, and I felt horrible about it. If I was going to dig deep and write my personal blueprint for change, I wanted her to read and understand every word. The best part of blogging is: I didn’t realize the introspective power blogging held — it’s been incredible therapy! I’m learning about myself through my blog. Plus, the unexpected gifts of emails and messages from people that tell me how this blog has changed their lives makes me so happy and proud. The tremendous outpouring of support from so many incredible people has inspired me, enlightened me, and absolutely made this journey so much easier. I’m extremely blessed to have so many friends. “Not only does this motivate me, but I sense a little humor in there too. I seriously love reading this … keep it up Daddy! I can’t even tell you how proud I am of you. You will do this. We all will,” wrote Amber, my oldest, from her college dorm room on day two of my blog. “Daddy, your blogs are amazing! You have such a talent to write, I really hope this blog does motivate you in every way possible … I’m very proud of you daddy, I know we’ve been saying we need to lose weight for quite sometime, but this time it’s just different. All together as a family, we will lose weight. No doubt about it. Keep up the good work Daddy. I love you with all my heart,” wrote my youngest, Courtney, on day three. What’s next for my blog: My blog will continue long after I hit my goal in 17 short pounds — It will evolve into a weight maintenance blog. I also plan on writing a book. I feel I must write the overall story of this life-changing transformation — it’s just in me. I’ve written one to three hours a day, everyday, for almost two years — now I’ll focus that energy on other writing projects. He’s almost there! 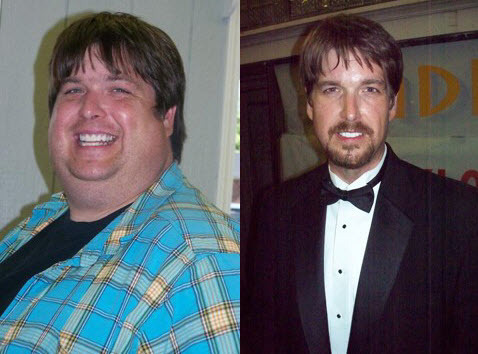 Cheer Sean on as he battles those last 17 pounds by visiting his blog. Best RELATE ABLE STORY ON HERE SO FAR!!! Thank You! !